Don’t miss Mark Bittman’s article in The New York Times Sunday Magazine about grilling watermelon and, of all things, cabbage. Several of the recipes sound like interesting and relatively easy side dishes: Vietnamese-style Portobello Mushrooms, Teriyaki Cabbage Steaks, and Curry-Rubbed Sweet Potato Flanks. Mark Bittman’s column in The New York Times today is just what I need to pull myself out of the salad doldrums. 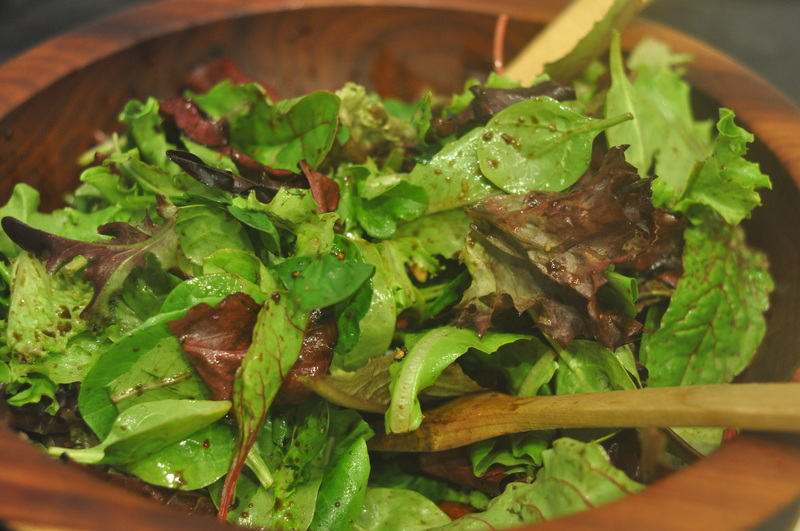 From the basic shallot-lemon vinaigrette to the Southwestern Arugula Salad with a spicy chipotle dressing, there are options for weeknight dinners and dinner parties alike. Next time The Professor’s family comes up North I’m going to serve them greens like they’ve never had ’em — Bittman’s Cooked Collard Salad with Peanut Vinaigrette. David Tanis — a cookbook author and longtime chef at Berkeley’s Chez Panisse — just kicked off a new column for The New York Times called City Kitchen. The column is about cooking at home and, more specifically, about cooking in cramped city kitchens. But no matter the size of your kitchen, the column promises to be great source of cooking insight and experience. I’m going to throw my can opener away. Or at least as The Professor to hide it. In any case, check out the column and the accompanying recipe for Cannellini Bean Salad with Shaved Spring Vegetables, which looks delicious. The New York Times columnist Mark Bittman — aka The Minimalist — has a great video on making Four-Spice Salmon. It reminded me that I’ve been meaning to write two posts — one on the matter of eating seafood and one on how to cook fish. So I’ll take Bittman’s video (which includes two tricks I use myself) as my excuse to write up my cooking tips. While Bittman pan fries his salmon in the video, my tips are geared towards roasting or grilling. #1: Cook Individual Pieces: Cut the filet into individual portions before you cook it. Not only will it look nicer on the plate, but it will help you cook all the pieces evenly and make it easier to determine when the fish is done. If you’re cooking an uncut three-pound piece, it’s sooooo difficult to know when the thickest center pieces are ready. #2: Use a spice rub: This is Bittman’s second tip and I second it. No I third it! In any case, I approve. In the video he mixes cumin, coriander, nutmeg and clove. Because I sometimes don’t have time to make my own spice mix, I’ve also bought them. My current obsession is Whole Food’s Tequila Lime spice mix, a combination of chili pepper, coriander, cumin, oregano, garlic, onion, parsley, lime and tequila. Or “tequila flavor,” at least. Bittman puts the spice mix on top of the fish. Why stop there? I smear the mix on all sides of the fish. #3 Buy an oven thermometer: The oven gods are fickle and rarely heat the oven to the temperature that you set it for. 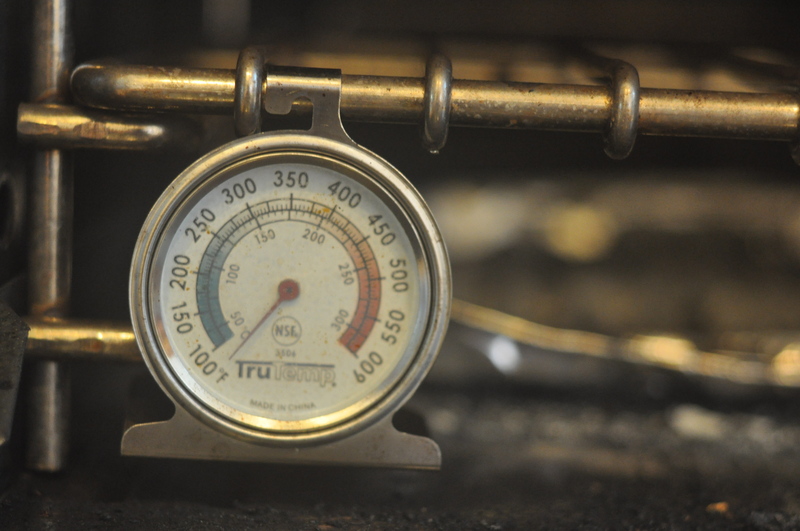 An inexpensive thermometer will tell you your oven’s true temperature, helping you reach your pre-heating goal. And when it comes to cooking fish, you need to have confidence in your oven temperature so that you can be confident in your cooking time. #4 Time It: Rather than going by the old “10 minutes per inch of thickness” rule of thumb, I recommend using a resource like Weber’s On the Grill app, which provides standard cooking times for different kinds of seafood (and meats as well). if you’re making tuna or salmon, which some people eat rare or medium rare, adjust the time to suit your taste. If the timer goes off and you’re not sure that the fish is really cooked through, take it out of the oven, cover it with tin foil and let it “rest” for 5 minutes. It will keep cooking but much more slowly than it would in the oven, so you’re not as likely to over-cook it by mistake. Good readers offer tips such as don’t stress about protein, use herbs and spices to add flavor, and focus on what you are eating rather than on what you’re not. You can see the full list here. It’s so fun to be right. The Obama administration has decided to nix the food pyramid, and it’s about time. The diagram, which you were probably shown in elementary school, was intended to teach children about the different food groups and what constitutes a healthy diet — or, at least, healthy according to the US Department of Agriculture. The new graphic will resemble a plate, divided into wedges representing the different food groups. The size of each wedge reflects how much of that food group you and I should be eating every day. And nearly half of the plate is taken up with fruits and vegetables. Now, you might think The Cook is writing about the redesign because it encourages the eating of more vegetables. And yes, I do think The Professor should eat more greens. But the truth is, The Cook is also a design junkie. And several years ago, when the USDA replaced the old food pyramid with a new one, she wrote a piece about it for Slate. 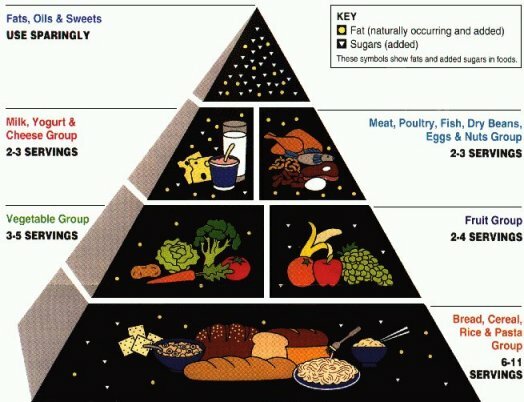 “If the USDA’s recommended diet helps people live long and prosper, it won’t be thanks to the design of the agency’s new food pyramid,” The Cook-then-writer wrote. Then she rounded up some talented designers to re-imagine the pyramid. The team from Stone Yamashita seized on the plate metaphor that the Obama Administration seems to be running with. I can’t critique the Obama plate until I’ve seen it — it will be released this Thursday. But I’m sure it will be an improvement. Jenny Rosenstrach wrote this piece about learning to love vegetarian meals almost a year ago, but I thought it was worth pointing to. It helped me get inside the head of a meat-eating, flavor-loving, home cook who, for health reasons, decided to cook with less meat. There’s an interesting profile of the London-based chef Yotam Ottolenghi in The New York Times today. Ottolenghi wrote a popular weekly column for The Guardian called “The New Vegetarian,” though he is not a vegetarian himself. Still, he loves vegetables and vegetarian dishes, and his column led to a best-selling cookbook, Plenty. Plenty is about to be published in the US by Chronicle Books, and I’ve already ordered my copy. If you’ve eaten at one of his four eponymous restaurants in London, tell me how it was! Food52 is a Web site, online community, and blog started by former New York Times food reporter Amanda Hesser and Merrill Stubbs, who helped Hesser test recipes for her new(ish) book, The Essential New York Times Cookbook. In any case, submissions for the Your Best Mushroom Recipes are live. And some of them look delish! Like a warm mushroom salad with crispy polenta. Mmmm… Check them out here. The article includes an interesting statistic from the market research firm Mintel: “the number of menu items labeled vegetarian or vegan increased by 26 percent between the end of 2008 and the end of 2010.” And it’s about time. Raise your hand if you don’t like the vegetarian option to be a plate filled with side dishes! In any case, I’ve been meaning to try some kind of bean burger and the article gave me some oomph. It’s on the menu for next week, whether The Professor likes the idea or not!